Bellevue Literary Press, 9781942658306, 320pp. After a hurricane devastates a small town in upstate New York, the lives of three women and their young children are irrevocably changed. Rin, an Iraq War veteran, tries to protect her blind daughter and the three wolves under her care. Naema, a widowed doctor who fled Iraq with her wounded son, faces life-threatening injuries and confusion about her feelings for Louis, a veteran and widower harboring his own secrets and guilt. Beth, who is raising a troubled son, waits out her marine husband's deployment in Afghanistan, equally afraid of him coming home and of him never returning at all. As they struggle to maintain their humanity and find hope, their war-torn lives collide in a way that will affect their entire community. Helen Benedict is the author of seven novels, including Sand Queen, a Publishers Weekly "Best Contemporary War Novel"; five works of nonfiction, including The Lonely Soldier: The Private War of Women Serving in Iraq; and the play The Lonely Soldier Monologues. She lives in New York. 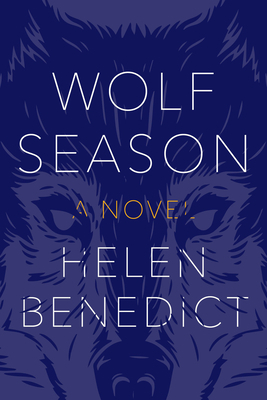 Helen Benedict, a professor at Columbia University, is the author of seven novels, including Wolf Season, a Firecracker Award Finalist and National Reading Group Month "Great Group Reads" selection, and Sand Queen, a Publishers Weekly "Best Contemporary War Novel." A recipient of both the Ida B. Wells Award for Bravery in Journalism and the James Aronson Award for Social Justice Journalism, Benedict is also the author of five works of nonfiction, including The Lonely Soldier: The Private War of Women Serving in Iraq, and the play The Lonely Soldier Monologues. She lives in New York.